A Stable Beginning: Have you built your bundle yet? Have you built your bundle yet? 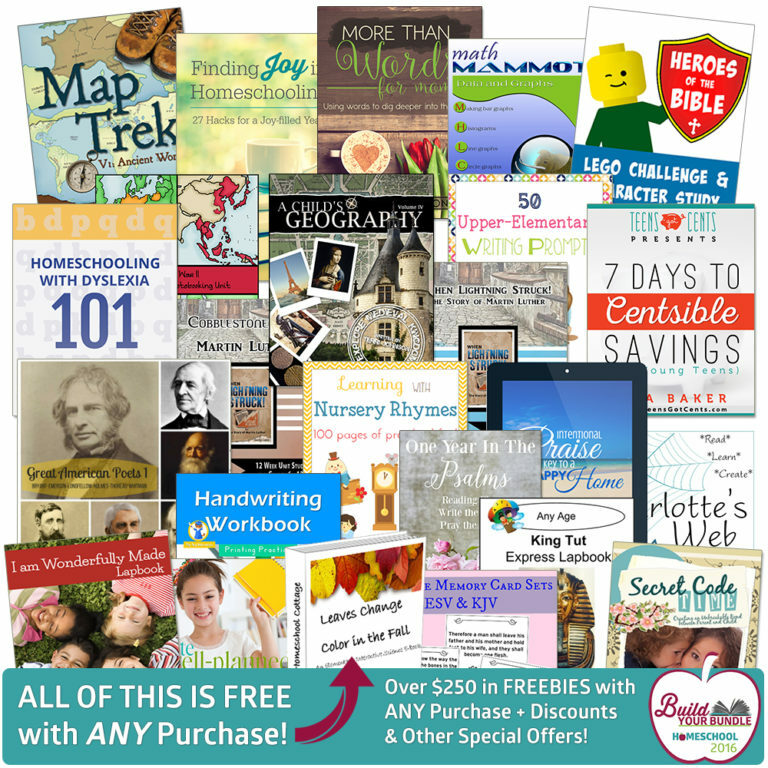 This week is the Build Your Bundle Homeschool Edition sale! Have you checked it out yet? Please tell me you have!? Why? Well, because there are so many great curriculum's being offered at record low prices, I really don't want you to miss out because these bundles will NEVER be sold together again! This is my 3rd year purchasing curriculum that we use in our homeschool from this sale. I chose to do the Premium Build Your Own bundle option since I didn't necessarily "need" all the items in any one particular bundle, but rather wanted to pick curriculum here and there. We will be able to use these products in our homeschool this upcoming school year and beyond. And guess what? If you buy any two bundles you get the 3rd one FREE, how awesome is that! I was able to get 49 selections of curriculum that retails for $706.+ for just $103.00 Yes, that is not a typo! PLUS, I received all of the items in the picture below FREE just for making a purchase, SCORE! Pretty awesome, huh! But don't delay, there are only a few more hours to take advantage of all of these deals and your ONLY chance to get these products for 86%-96% off.